Posted on Friday, April 07, 2017 by "T". Earlier this week partypoker announced that norwegian poker legend Johnny Lodden had joined its team of ambassadors! Lodden's 22 cashes in EPT Main Events is more than any other player, and now he will take on a new venture in the partypoker LIVE tour. 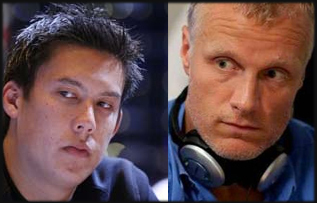 The world's biggest poker site and well-known Scandinavian poker pros Johnny Lodden (Norway) and Theo Jorgensen (Denmark) are no longer working together. Day 3 of the EPT Barcelona Main Event (1694 entries, the biggest EPT Main Event in history) kicked off with 343 players, but only 247 of them would receive a share of the €8,215,900 prize pool. 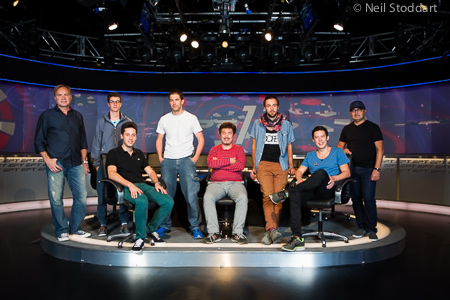 The final table is set at the PokerStars and Monte-Carlo®Casino EPT Grand Final Main Event. 558 players (entries) have hit the rail over the past 5 days, which leaves only six players with the chance of becoming the champion of this event and, more importantly, €1.1 million richer! 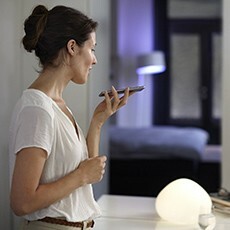 (All finalists are guaranteed to take home €233,500 each). 15 of 34 players made it through Day 4, moving one step closer to the final table. Team PokerStars Johnny Lodden started the day with 728k and finished with 2,293,000, which means that he's the chip leader heading to Day 5. The Norwegian finished third in this event two seasons ago for €467,000, he now sits in a great position to top that result. 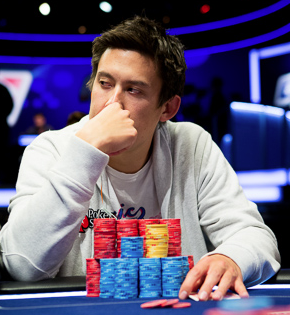 Read more » EPT Grand Final: 15 Players Left - Johnny Lodden Out In Front! EPT Vienna (Live Stream): 56 Players Remain, PokerStars Qualifier In The Lead! Posted on Thursday, March 27, 2014 by "T". It's high time to update everyone on the European Poker Tour Vienna (Austria) Main Event. A field of 910 entries has been narrowed down to 56 players over three days of play. Pablo Gordillo, a PokerStars qualifier from Spain who has a little more than $3k in tournament winnings to date, will lead the remaining 53 players to Day 4 (begins in a few hours) with 2.1 million in chips (about 600k more than his closest opponent). Read more » EPT Vienna (Live Stream): 56 Players Remain, PokerStars Qualifier In The Lead! Steve O'Dwyer Wins EPT Monaco Main Event! Posted on Monday, May 13, 2013 by "T". On Sunday, the final table of the 2013 European Poker Tour Monaco Grand Final Main Event concluded with Steve O'Dwyer taking down the tournament for €1,224,000 and an exclusive Slyde watch after defeating Andrew Pantling heads-up. 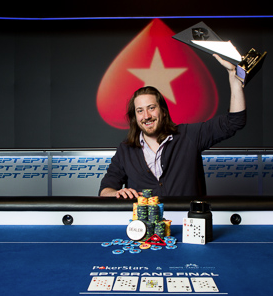 Read more » Steve O'Dwyer Wins EPT Monaco Main Event! 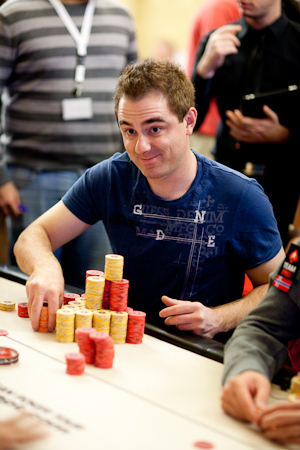 EPT Monaco: 34 Players Left - Lodden Maintains Lead. Posted on Friday, May 10, 2013 by "T". Another day of the EPT Monaco Grand Final main event is in the books. There are now only 34 of 531 players left in the tournament and it starts getting really exciting as the final table is just around the corner. There are lots of big names left in the tournament, including Steve O'Dwyer, Andrew Pantling, John Juanda, Noah Schwartz, Victor Ramdin, Jason Mercier, Jake Cody, Paul Volpe, Daniel Negreanu, Andrew Lichtenberger, Andrew Chen, Freddy Deeb, Luke Schwartz, Mickey Petersen, Ville Wahlbeck and Norwegian Team PokerStars Pro Johnny Lodden, who remained out front throughout Day 3. All the remaining players are now guaranteed a minimum payday of €21,500 - with the chance of a bank-busting €1,224,000! We will be back with a final table recap on Monday morning! 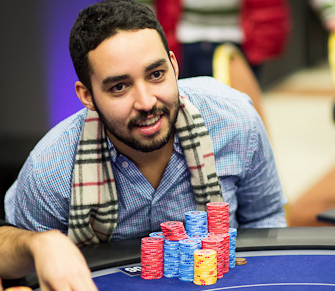 About 110 players remain in the EPT Monaco Grand Final Main Event after 2 days of play. Team PokerStars Pro Johnny Lodden pushed past the half a million mark late during Day 2 and finished the day as the chip leader with 605,200. Lodden will be joined by the likes of Calvin Andersen (472,400), Oleksii Kovalchuk (414,700), Noah Schwartz (453,400), Steve O'Dwyer (389,200) and Daniel Negreanu (340,100) to the third day of the tournament. The remaining players are fighting for a first prize of €1,224,000! The money bubble will burst during day 3 when 80 players remain (€16,000 min cash). We will be back with a bigger update tomorrow. Stay tuned! 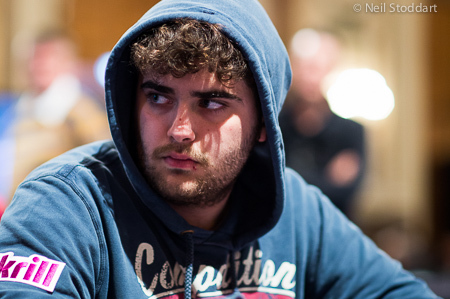 EPT Prague: 21 Players Remain - Lodden and Jelassi are two of them! Posted on Friday, December 14, 2012 by "T". Day 4 started with 3 players with more than a million chips each: Ramzi Jelassi, Chris Brammer and Sotorious Koutoupas. Brammer didn't make it, but both Jelassi (1,975,000 - 3rd place) and Koutoupas (1,450,000 - 8th) pressed on and made it through the day with healthy stacks. 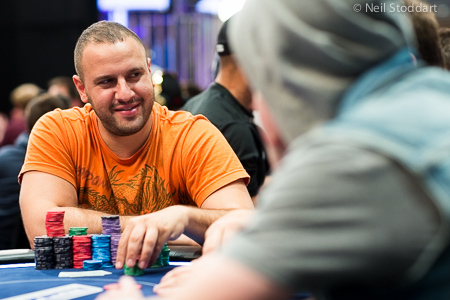 Read more » EPT Prague: 21 Players Remain - Lodden and Jelassi are two of them! Posted on Thursday, December 13, 2012 by "T". 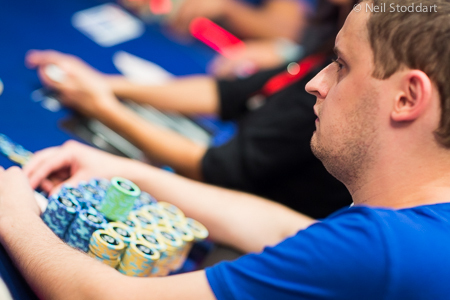 There are now only 55 players left in the EPT Prague Main Event. All the remaining players are guaranteed to get away with a min-payday of €15,000 - with the chance of laying hands on the first place prize of €835,000! Johnny Lodden: "Thinking about stop playing after scoop..."
Posted on Friday, May 18, 2012 by "T". 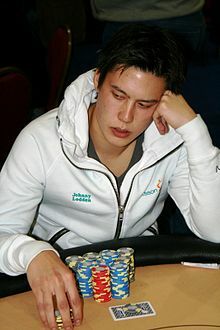 Johnny Lodden might be Norway's biggest poker star ever, and he used to be among the top High Stakes cash game players in the world on the Prima Poker network back in the "good old days". However, he hasn't been running so good in the past few years and it's not very often he hits the headlines with a big win. 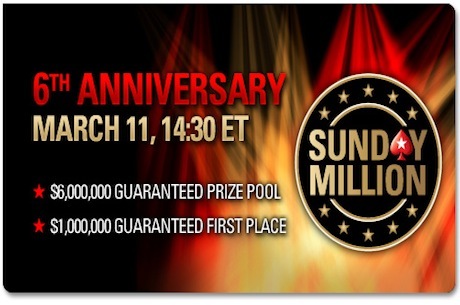 Read more » Johnny Lodden: "Thinking about stop playing after scoop..."
Read more » PokerStars: Sunday Million with $6,000,000 guaranteed! Posted on Thursday, February 23, 2012 by "T". 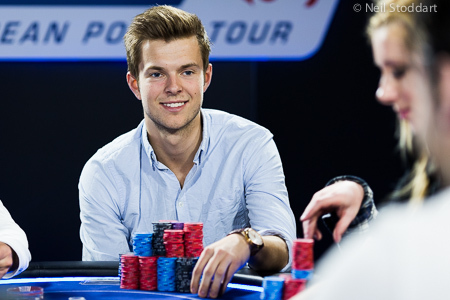 The EPT Copenhagen Main Event is down to 72 players after 2 days of play. Day 1a and 1b chip leaders Steve O'Dwyer, from USA, and Mads Wissing, from Denmark, are among the players that will return today, however, neither of them are among the top players. 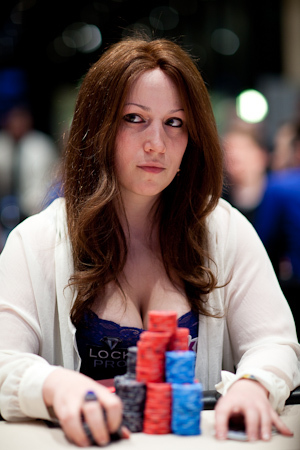 The new chip leader is the American poker pro Melanie Weisner who managed to accumulate 368,200 chips during Day 2. Weisner indeed had an amazing day at the poker tables and now she has a fantastic chance of taking home the biggest cash of her career. Both starting days of the first ever EPT Loutraki main event are now in the books. In total, 102 players made it through Day 1a and 130 day 1b, which means that 232 players will return to play around noon today. The official prize pool and payout structure is still to be confirmed though. In the lead is Mario Puccini from Germany with 159k, and about 16k chips behind him is Team PokerStars Pro Tony Judet from Romania (both players from Day 1b). 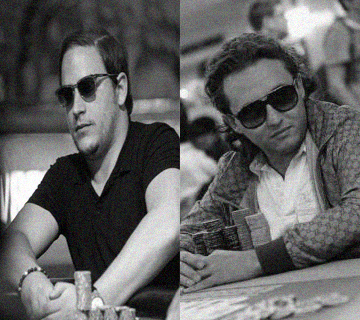 A few notables that survived day 1b: Johnny Lodden, Kevin MacPhee and Eugene Katchalov. Posted on Wednesday, October 26, 2011 by "T". Christopher McClung, from Canada, arrived as chip leader when Day 4 of EPT San Remo kicked off yesterday. When the day had come to an end, McClung had boosted his 1,2 million stack to an amazing 3,1 million - most of those chips came from a hand when he knocked out Joseph Cheong with flush vs set of kings. McClung's 3,1 million stack gives him a 1.1 million lead over Daniel Neilson in 2nd place. Just as planned, the Day 4 field was played down to 24 players who will return to the poker room today and play it down to a final table, which will take place tomorrow with live stream. Among the players who still have chips left one can find quite a few interesting names. Just to mention a few: Barny Boatman with 1,25 million, Johnny Lodden with 1,2 million, Lex Veldhuis with 877k, and Elio Fox with 377k. 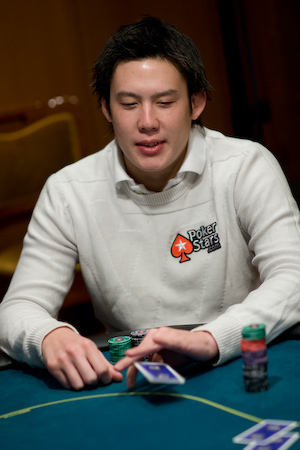 EPT San Remo: 2010 WSOP Main Event finalist leads the pack! Posted on Monday, October 24, 2011 by "T". In case you missed it: The EPT San Remo Main Event started a couple of days ago. A massive field of 837 players signed up for the tournament and now, 3 days later, 145 players have chips left to gamble with. 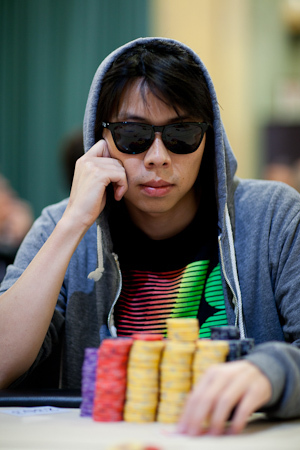 Chip leader is Joseph Cheong, from USA, with 632,000. 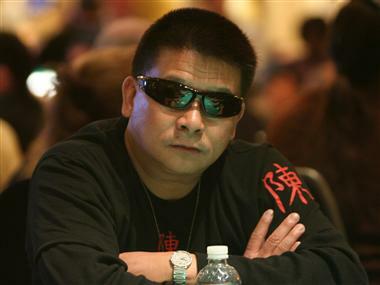 Cheong has about $4,5 million in career winnings - $4,1 million from the 3rd place finish at the 2010 WSOP Main Event. Three notable players with plenty of chips left: William Thorson in 4th place with 508k, Vanessa Selbst in 6th place with 497k, and Johnny Lodden in 20th place with 287k. Anyhow, the tournament bubble bursts when there are 128 players left. The winner of the tournament will take home stunning €800,000 while the runner-up will get €480k. Posted on Tuesday, February 22, 2011 by "T". Mark Hirleman, from Arizona, leads the field with 163,400 chips after that Day 1a of the 2011 EPT Copenhagen Main Event has come to and end. He and another 132 players are now through to Day 2 of the tournament. Three of the biggest names that will play Day 2 as well are Annette Obrestad and Johnny Lodden from Norway, and Peter Eastgate from Denmark. Anton Wigg, last year's Main Event winner, was among the last players to bust. Anton Wigg played very well and could easily have ended up as the chip leader if it wasn't for an all-in against Obrestad with AJ flush draw vs pocket 10's - an all-in which Annette Obrestad won with a set of 10's. Day 1b of the tournament is about to start now. An even bigger field of players are expected today, so let's hope that it will be an interesting day of poker! Posted on Wednesday, July 14, 2010 by "T". Day 4 of the 2010 WSOP Main Event is now in the books. 574 of 7,319 players are still in the tournament and all of them are guaranteed to get a share from the enormous prize pool of nearly $69 million. Chip leader of the tournament is Tony Dunst from Las Vegas, Nevada who sits on a stack of 1,546,000 (average stack 381k). 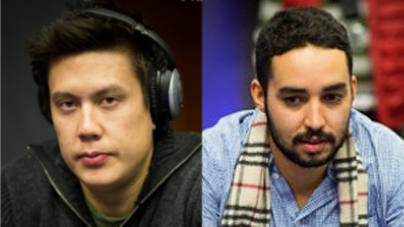 There are several notables left in the field (Johnny Chan, Hasan Habib, Johnny Lodden, Scotty Nguyen etc -- all top 100), with 4 days to go before the tournament is down to the final table and goes on a break. In a couple of hours day 5 of the main event kicks off. It has been a very interesting tournament to follow so far and hopefully the rest of the tournament will be even better. EPT Copenhagen: Day 1a completed - Canadian in the lead! Posted on Wednesday, February 17, 2010 by "T". Day 1a of EPT Copenhagen delivered a lot of action, mainly because of the Scandinavian, aggressive style of playing poker. However, there is a Canadian (Andew Pantling - 155,800 chips) who has come out on top. Although a few notable players have dropped out of the Day 1a field - Martin Kabrhel, Thomas Bichon, Jeff Sarwer etc - there are still some really big names who have made it to Day 2 of the Main Event. Just to mention three of them, Annette Obrestad, Johnny Lodden & Dario Minieri. Day 1b of the tournament will most probably be even more action filled and interesting to follow as William Thorson, Luca Pagano, ElkY, Peter Eastgate and many other big names will take part. Posted on Tuesday, February 16, 2010 by "T". Today, the Main Event (Day 1a) of EPT Copenhagen kicks off. 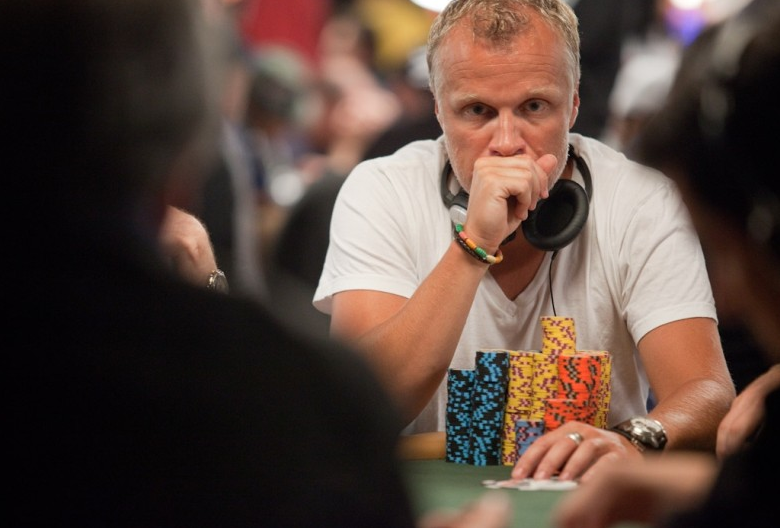 This is the ninth stop on the EPT tour and for sure the one we will see most Nordic stars in. Just to mention a few of the players that are going to take part, Peter Eastgate, Johnny Lodden, Anette Obrestad, William Thorson and Kristoffer "Sumpas" Thorsson who just received the Rookie of the Year award in Nordic Poker Awards. EPT Copenhagen will run between 16/2 - 21/3 and it will of course not only include the Main Event. However, we will keep you updated regarding the Main Event (since we believe it's the most important event and also the event with the largest prize pool) in our news section, so you won't miss out on the action! Posted on Friday, March 27, 2009 by "T". 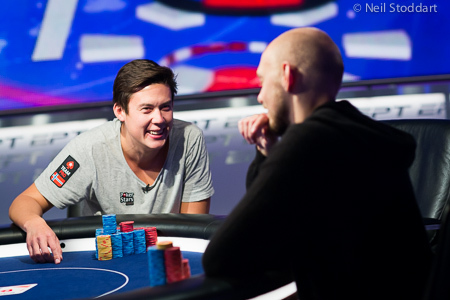 Earlier this week PokerStars signed the 24 year old Norwegian poker pro Johnny Lodden. 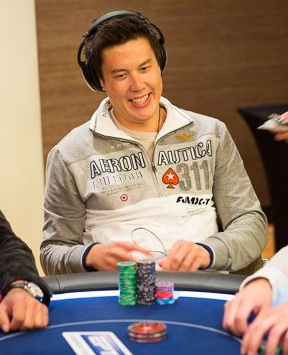 This means that Johnny Lodden will travel all over the world and play in the most prestige full tournaments in the name of PokerStars, and hopefully make some cashes. Posted on Thursday, December 11, 2008 by "T". Two notable players that made it through from Day 1b to Day 2 are Noah Boeken and Dario Minieri from Team PokerStars. 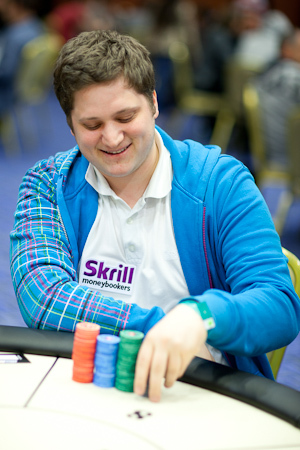 Dario came third in EPT Warsaw 2 weeks ago and now he brings more than 64,000 chips with him to Day 2. Posted on Wednesday, December 10, 2008 by "T".